Apron front stainless steel single sink, with front bow profile makes a beautiful and practical statement in your home. Rear placed drains mean more storage space below the sink. Sink bowl is pitched to the center of the waste hole. Sink may be installed flush, below or above counter. Undermount template and waste fittings are included right in the sink packaging! 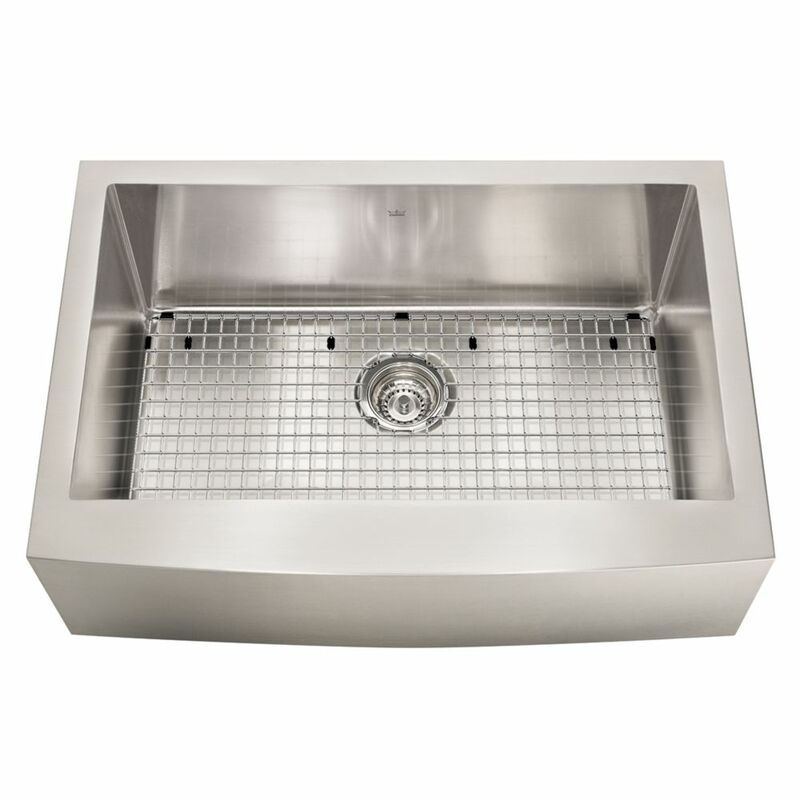 18 Ga Farmhouse single Apron front stainless steel single sink, with front bow profile makes a beautiful and practical statement in your home. Rear placed drains mean more storage space below the sink. Sink bowl is pitched to the center of the waste hole. Sink may be installed flush, below or above counter. Undermount template and waste fittings are included right in the sink packaging!